Over 40 million Americans suffer from chronic snoring, and that includes quite a few here in San Francisco. Often, this can be caused by an anatomic variation in the upper airway. Snoring may be a symptom of sleep apnea, a condition that can cause daytime sleepiness, fatigue, and loss of memory, personality changes and significant systemic pathology. Sleep apnea can be a potentially life-threatening disorder. If you have a partner who keeps you awake with loud snoring, or your partner has complained that you snore loudly, sleep apnea may be the problem. Not only is sleep apnea and snoring extremely annoying, it can threaten a person’s health. People with sleep apnea can suffer from fatigue, memory loss, breathing problems and hypertension (which can lead to heart disease). There can be several reasons someone snores loudly. If you have tried home treatments and nothing has worked, the problem may require a professional evaluation by an expert surgeon like Dr. Rabinovich, who specializes in sleep apnea issues. Dr. Rabinovich will evaluate your sleep apnea and snoring issues with the latest technology in his San Francisco office. Dr. Rabinovich has created partnerships with professional Bay Area sleep experts to ensure your sleeping disorder is fully evaluated and cared for properly. Getting back to a healthy, restful sleep pattern is his goal for your sleep apnea dilemma. Does your partner complain about your snoring? Do you often feel tired during the day? Or have trouble focusing at work? If so, you may have sleep apnea. People with sleep apnea typically snore and are at increased risk for weight gain, fatigue, hypertension and impotence. Surgery for sleep apnea (orthognathic surgery to reposition the jaws) is often an out-patient procedure. Sleep apnea surgery can be performed by Dr. Rabinovich at our state-of-the-art surgery center, located at 129 Sacramento Street in San Francisco (near the Embarcadero Center). Dr. Rabinovich, considered one of the best oral surgeons for sleep apnea in San Francisco, performs your surgery in a comfortable and calm environment. The first appointment will begin with an oral examination, x-rays and discussion. Dr. Rabinovich will evaluate what issues you are experiencing and will discuss a treatment plan customized just for you. If your sleeping disorder requires the support of a sleep expert, Dr. Rabinovich will work with professionals in the field of sleep apnea. Who Needs Treatment for Sleep Apnea? People who may benefit are those with severe snoring, chronic nasal obstruction, and the symptoms mentioned above. 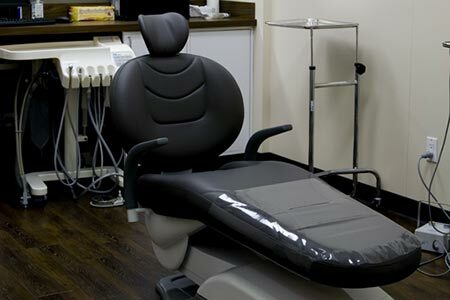 Treatment may be as simple as a weight reduction plan, an oral appliance, or include basic outpatient procedures done in the office under local anesthesia. For patients with severe sleep apnea, treatment may include orthognathic surgery to reposition the jaws. Some or all of these symptoms may be present and refractory to past treatments with medication. Often, a sleep study can be obtained to establish the diagnosis of apnea or another sleeping disorder. Dr. Rabinovich works closely with local San Francisco sleep experts to assist in total patient care. Dr. Alexander Rabinovich is committed to providing you with the most current, safe, and effective technology possible. He has successfully treated many patients with nasal obstruction, habitual snoring, and sleep apnea.